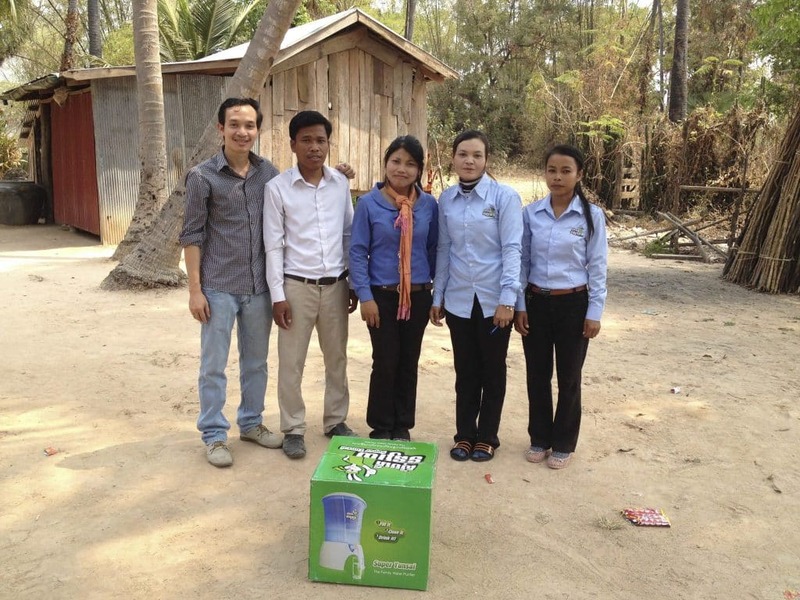 Our partner, Hydrologic, is a Cambodian social enterprise whose objective is to supply drinking water by selling locally supplied ceramic filters to the rural and suburban populations in 19 of the country’s 23 provinces. Two distribution models have been successfully tested through the company: retailing the product to resellers, and direct sales in remote villages. Hydrologic is innovative in its direct sales approach: Clean Water Experts (CWE) raise awareness about the hygienic and economic benefits of consuming drinkable water in the whole community. Accompanied by members of a microfinance NGO, they offer buyers the chance to take out a loan of US$20 to US$40 per filter. Estimates show that 30% of village households become interested and involved in the direct sales process and that 60% of these people buy a ceramic filter. The company’s biggest innovation, however, was to create a ceramic filter they call the Super Tunsai, which is more attractive and more practical than the regular model. In parallel, they have created bespoke training activities (e.g. learning forums on health and training on sanitation), as well as merchandising products (T-shirts, caps, branded treated-water bottles, information booths, flyers and posters). A solution to the access to drinking water and disinfection.